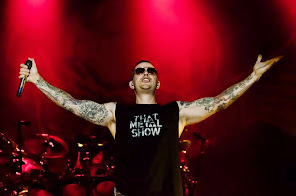 M.Shadows talked with Z-98 about new Avenged Sevenfold album. M.Shadows tells Z-98: “The most important thing for us is to get that spark and that fire to want to start writing. We never write on the road. We always try to get a very clear idea of what we want to accomplish then we attack it.